The "New" Black Bear Lodge has been totally redone! 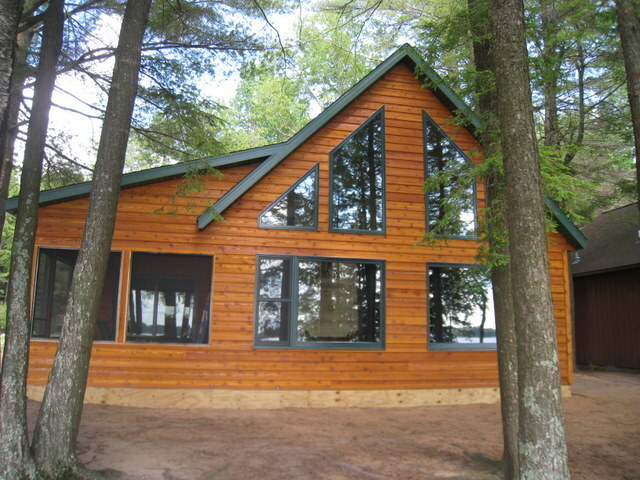 It features a large screened in porch and a front wall of windows overlooking Big Stone Lake. The first floor includes a living/kitchen area, 3/4 bathroom and a large bedroom with a queen-sized bed. The second floor has a full bath and a second bedroom. This unit rents for $1450.00 per week during the peak season. Great discounts are available during the off season. Please see 'Information' for more details!